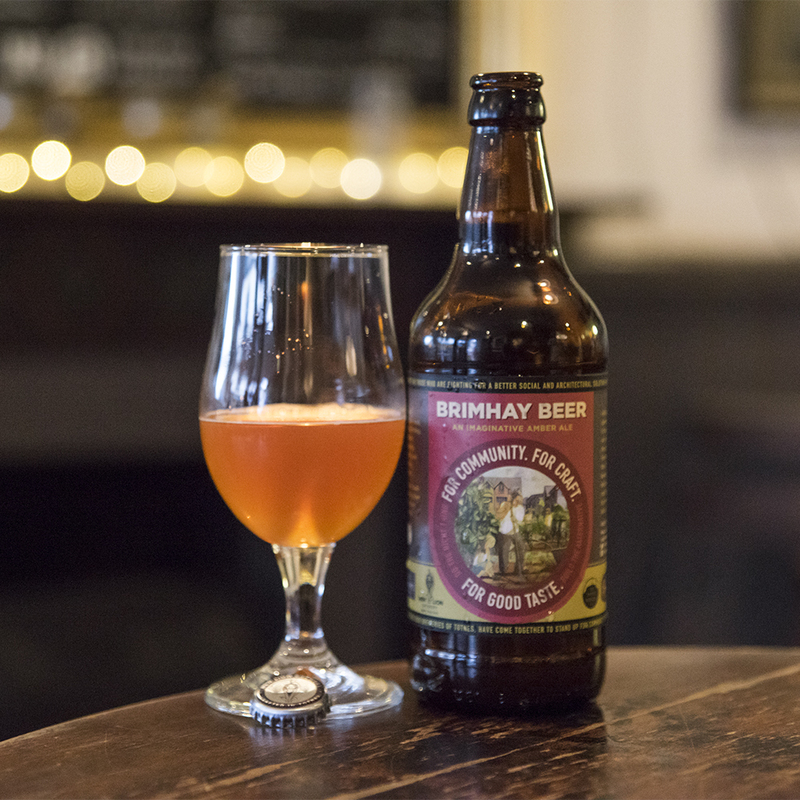 Raising a glass to toast the launch of ‘Brimhay Beer’. 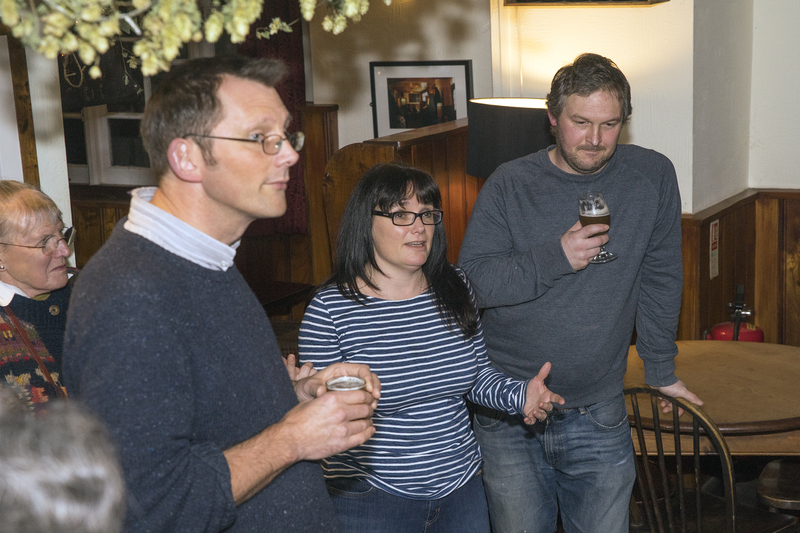 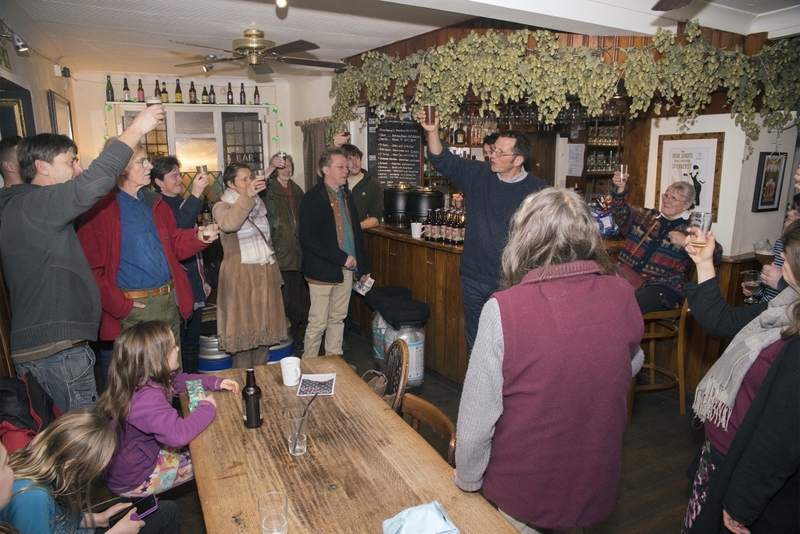 Sarah Kidd, of Totnes Brewing Company, talks about why they wanted to be part of the project. 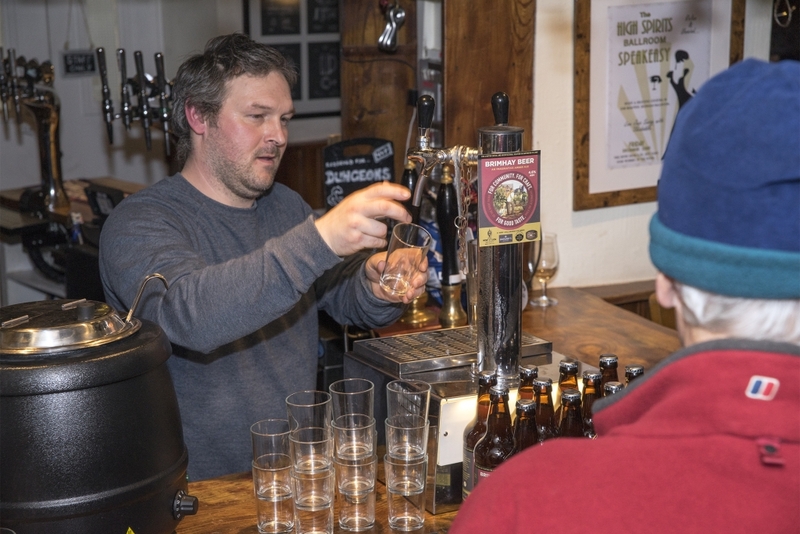 Garry Jagger of Totnes Brewing Company pouring pints of Brimhay Beer. 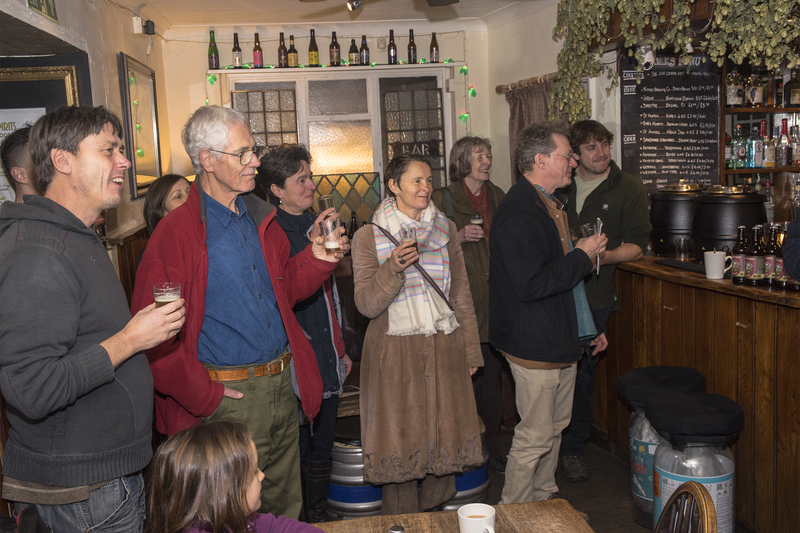 Note the splendid pump clip.